No details were released, but this teaser clip post on Chevrolet's Facebook page immediately caught our attention. 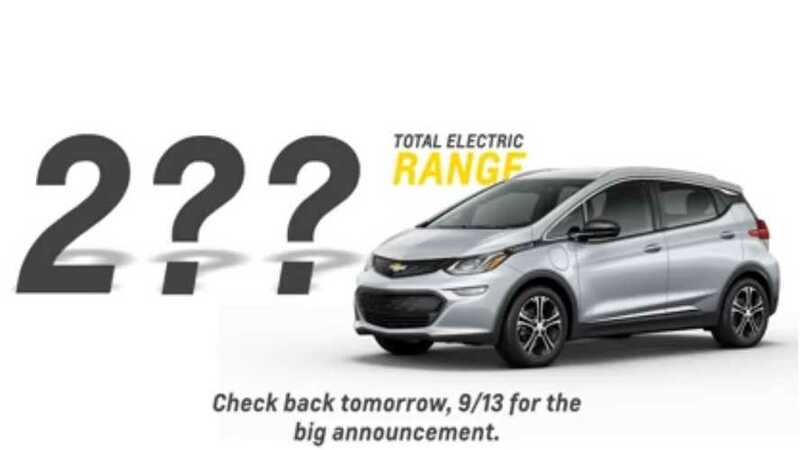 What's your range guess for the upcoming Chevrolet Bolt EV? We've been promised by General Motors that the figure will be over 200, but beyond that it's a guessing game still for all of us. Editor's Note/Update: The Chevy Bolt EV has been rated at 238 miles of EPA range - how did your guess do? Full details/specs/videos from the announcement can be found here.